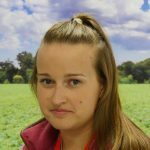 After completing her Agriculture degree at Harper Adams University as a pig industry scholar, Lauren upped sticks from Staffordshire and re-located to East Anglia to work for an animal feed company as a pig account manager selling compound feeds. She subsequently made the move to AHDB in August 2017 taking up the role as Pork Processing Projects Manager within the Health and Welfare team. Her role is very varied including the management of schemes which you will all be familiar with; BPHS (the Pig Health Scheme) and CCIR (Collection and Communication of Inspection Results) – as well as traceability throughout the supply chain – quite literally from farm to fork, and all topics relating to food safety. Lauren now lives back in the Staffordshire countryside with her partner Tom who also works in the industry for Packington Pork. During their spare time they enjoy walking in the local countryside with Harper the Jack Russell.